Headquartered in Norfolk,Virginia, xTuple is an enterprise software company that develops and markets open source software under the brand name xTuple ERP. 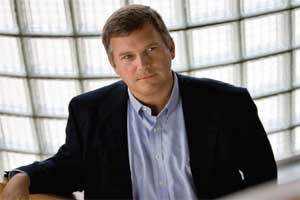 In October 2001, Ned Lilly, the President and CEO of xTuple, co-founded the company, originally called OpenMFG, with the aim of bringing the worlds of open source and enterprise resource planning (ERP) together to solve the unmet needs of small- to mid-sized manufacturers, to integrate all critical functional areas in one system: sales, accounting, and operations, including customer and supplier management, inventory control, manufacturing and distribution. xTuple’s key products include: xTuple PostBooks Edition, a fully-integrated business management system built with the open source PostgreSQL database and Qt framework for C++ which provides power and flexibility for a range of businesses and industries of any size; xTuple Standard Edition, an end-to-end software system for companies with more sophisticated inventory control needs, containing everything in the open source PostBooks Edition, plus additional enterprise-class functionality specifically for distributors and light manufacturers; and xTuple Manufacturing Edition, a software system for make-to-order, make-to-stock, and mixed-mode manufacturers, containing everything in the PostBooks and xTuple Standard Editions, plus additional enterprise-class functionality specifically for manufacturers. The company’s mission is to help companies of all sizes successfully implement powerful and easy-to-use open source ERP software to grow their business profitably. Open source software used to build a superior product is a huge marketplace differentiator. xTuple is an ERP company first, dedicated to manufacturing process improvement. “Open source is the ‘How’ not the ‘What’. Open source makes better ERP software, thanks to its user community,” says Ned Lilly, CEO of xTuple. Tens of thousands of manufacturing, distribution, sales and finance professionals worldwide actively contribute to the software’s improvement. xTuple leverages their experience with hundreds of other ERP products, shepherding transparent communications, development, testing and deployment. Tapping into the collective brainpower of these professionals introduces innovation and excitement into an industry known for neither. While the core functionality of accounting and integrated CRM are suitable for nearly any type of business, xTuple’s roots are in manufacturing, specifically, make-to-stock, make-to-order, and particularly lean-inspired companies who operate in a mixed mode. xTuple has a strong job-project management functionality and recently expanded functionality for industrial distributors. Generally, any business that wants to be smarter and more proactive managing inventory is a good prospect for xTuple. EMSEAL Joint Systems, LTD, a North American manufacturer of sealants and expansion joint systems for the commercial construction industry, is one great xTuple success story. Like many expanding businesses, they had outgrown their old system, a collection of home-grown software and spreadsheets. They also had multiple corporate entities and a complex sales commissioning structure. Their implementation of a full-featured xTuple ERP system, including significant enhancements in the commission area, was not only on-time, but also under budget. By the company’s reckoning, the project came in at approximately 40 percent of the cost of other big name products. EMSEAL management researched several legacy business management software vendors, including SAP, Microsoft, Sage and Epicor. One reason they succeeded with xTuple was the ability to test and pilot their implementation with the free and open source xTuple PostBooks distribution before eventually purchasing a commercial license for their production system.